Clearly nobody can be arsed to comment either. Like Clint, I’ve been too unbusy levitating on a red airbed above my hover machine. It would be a Breaking Bad boxset for me though. I’ve never seen Breaking Bad or Game of Thrones. Prefer the Saturday night BBC4 subtitled murder slot myself. You piqued my interest enough for me to download and try this file, just to see what the fuss was about, and surely, I wasn’t disappointed. Your review left me wanting more, and so does this game. Now, if he was watching World Snooker Championship qualifying without subtitles like I am, I’d be impressed. For those of you watching in black and white, the blue is the one near the brown. I didn’t mean subtitles, I meant commentary. How on earth did I get that wrong??? The thing is I was thinking about paying Lee £1 a word and a packet of rolos once complete if he managed a 100 word review of this game. 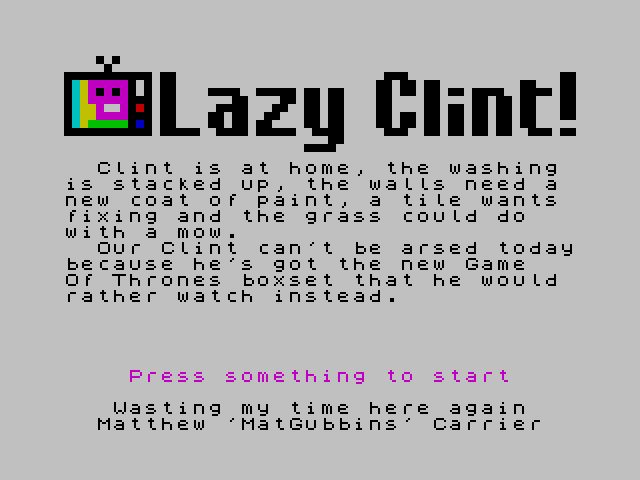 Clint lives in a plain white room, white carpet, walls. Just a red matress, green duvet and a widescreen TV on a glass stand. The joys of 2.5D images. He probably has other things in the house and that sodding cat to kick around (not his cat though). 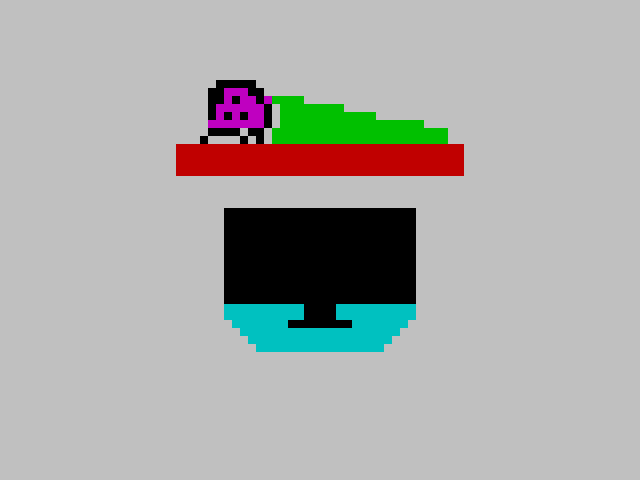 If anyone can be bothered to break into the program you can clearly see that there was going to be a game using the Q and P keys, but I couldn’t be arsed either. Hopefully CLINT will do something in his next game and will try make up for this total disapointment. Sorrry guys and gals.